"We're very excited to present the second MAF EX release in the Dark Knight Trilogy line from MEDICOM Toy," said Diamond Brand Manager Jesse Morgan. "We had such a great reaction to MEDICOM's Christian Bale last year, so when we were asked if we wanted a Joker, we leapt at the chance! I think this is the definitive Heath Ledger toy; it's ultra-articulated, comes with a ton of accessories, yet still captures his likeness. We're also thrilled to announce that we'll be displaying Heath Ledger alongside a new sculpt of Christian Bale, Anne Hathaway as Selina Kyle, as well as an in-scale Batpod at the Diamond PREVIEWSworld Booth #2401 during Comic-Con International: San Diego this month. Next year should be a great one for fans seeking the finest collectibles from the Christopher Nolan trilogy!" 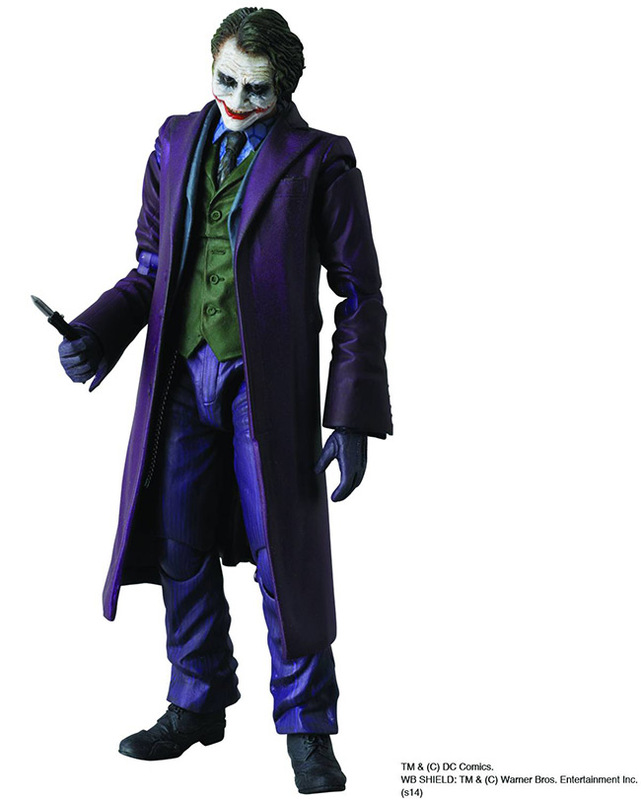 The Dark Knight Joker figure is featured in the July PREVIEWS catalog on page 500 and is scheduled to be released exclusively in comic book shops April 2015. To pre-order, find a local comic shop at www.comicshoplocator.com.